The Guardian has now devoted four columns (here, here, here, and here) and one CiF commentary, encompassing over 2100 words, about Britain’s arrest of the Islamist preacher, Sheikh Raed Salah, all of which share a couple common denominators: They’re all viscerally sympathetic to Salah; they all but ignore his record of incitement and anti-Semitism, which includes a sermon where he advanced the Medieval blood libel, as well as his ties to Hamas; and they frame Salah’s opponents in the pejorative as either “right-wing Israelis” or as part of the “Zionist lobby”. This latter charge is leveled explicitly by Haneen Zoabi, the Israeli Arab MK who was a participant on board last year’s pro-Hamas flotilla, in her CiF column, An Israeli trap for Britain, June 29. Zoabi casually dismisses charges of anti-Semitism against Salah, accuses pro-Israel groups of complicity with “Islamophobia” in their criticism of the preacher, implicitly levels the Zionism is racism canard against Israel, and characterizes Salah’s arrest as evidence of racism by Zionists in the UK. She concludes her apologia for the Hamas supporting hate preacher by an urgent plea to citizens of the UK not to allow “the pro-Israel lobby” to determine their politics. For those of us schooled in the long and dark history of this charge – of the injurious effects of organized Jewry on the body politic of the nations where they reside – as well as the Guardian’s complicity in advancing this odious narrative of Jewish power, the continuing staying power of such tropes come as no surprise. 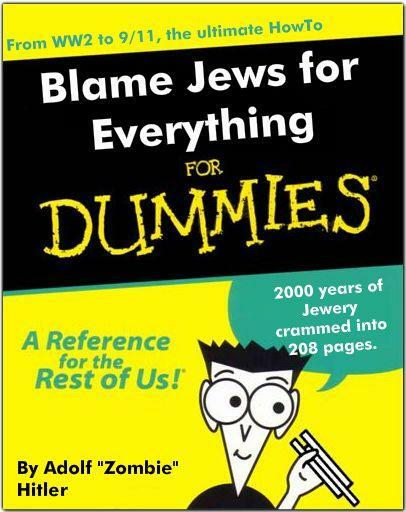 But, the predictability of Zoabi’s effort to blame the UK’s tiny Jewish population (less than 1/2 of 1% of Britain’s total population) on a decision by non-Jewish British government authorities doesn’t make it any less malicious, dangerous, or racist. The Guardian miscalculated this time. Zoabi got a good kicking below the line, which must have shocked the Rusbridger cabal. I doubt she’ll be invited to contribute again. Yes, indeed. But I wouldn’t dismiss the possibility that she will be recalled some time in the future to propagate more of her bigotry. The Mukhtar took him out by chance and protected him taking to the exit of the village where a police unit was waiting. Now why was the police waiting outside? You turn the other chick only to get slapped again. You are a disgrace to your people Zoabi! Zoabi, Zahalka, Tibi and Co. make much more damage to the Israeli Arabs than a thousand rightwing fanatics. Zoabi is the reason why I believe nation-mixing* is a bad idea, and think the exclusivist nation-state is the wave of the future (meaning, nations that don’t adopt it won’t survive). Except when the nation inside a nation has an explicit doctrine of loyalty to the host state, as is the case with Jews and Druzes, sedition and the resultant backlash are only a matter of time. The smart are capable of getting out of a situation the wise never get into in the first place. *Note, nation-mixing, not race-mixing. Race is a different issue, and in the case of the Jewish nation, which isn’t defined by racial criteria, is irrelevant. He did not even mention that the Home Office has said Salah’s presence in the UK would be “not conducive to the public good” – just as it has done before with other rabble rousers from across the political and religious spectrum. The header of Black’s article is a joke (“Sheikh Raed Salah: Islamic Movement leader loathed by the Israeli right”). He is not just loathed by the “Israeli right”. he is loathed by most Jewish Israelis and not a few Arab Israelis. In the book of Black all Jewish Israeli not belonging to the far left are rightwing. Yet another example of Arab “Hidden Hand” paranoid projection from Zoabi. How come so much more is made of the pro-Israel/Jewish lobby than the bunch of bullying Islamist thugs who despise our democracies and our laws but are too ready to use them to stifle our freedom to criticise them? It’s a very valid point. There were MPs inviting Salah to give a talk, after all.